The Psychology Department offers two Master of Science degrees and two graduate level certificates. The degrees are Counseling Psychology and Psychology. The graduate certificates are in Psychology and Child and Adolescent Counseling. The graduate psychology programs of Avila University are part of a values-based community of learning which respects the worth and dignity of all persons. These purposes are accomplished through rigorous courses of study that focus on the integration of psychological theory and application. Each program’s curriculum is designed around sets of educational outcomes that specify the knowledge and skills students are expected to demonstrate upon graduation. Successful graduates will demonstrate an understanding of people and situations they can expect to encounter in their professional lives. Family members, familial-type relations, and friends are expressly prohibited from being recommenders. The background check is considered separately from all other admission criteria when determining admission eligibility. Information on how to request a background check can be found on the Avila University Department of Psychology website. Transfer applicants may request an evaluation of transfer credit once admitted to the program by completing an Evaluation of Transfer Credit Request form. Students in the psychology degree program may request the transfer of up to 9 credit hours. Students in the counseling psychology program may request transfer credit for up to 15 graduate level credit hours. Quarter hours may be transferred to meet specific course requirements, but will only be counted for equivalent hours. The awarding of any transfer credit is at the discretion of the department. 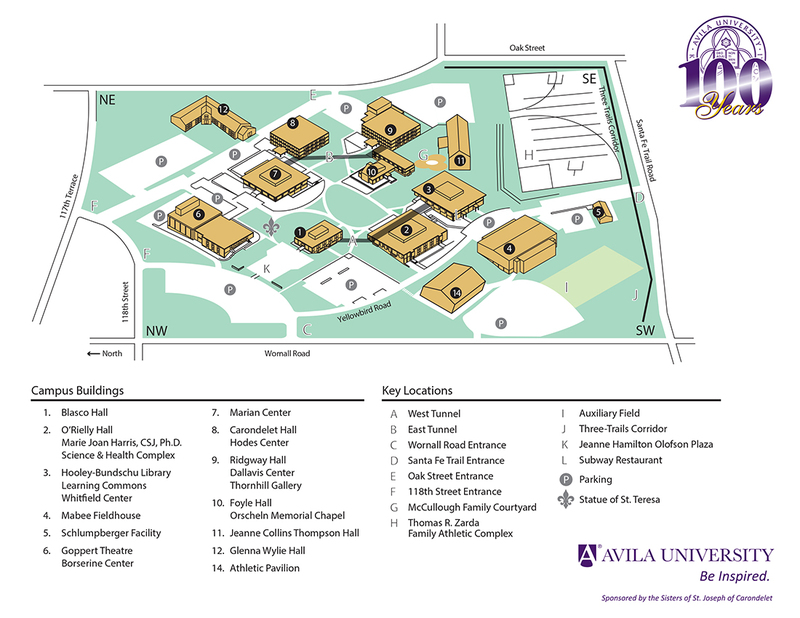 If a previous graduate degree was completed at Avila University, a minimum of 24 additional, non-duplicative credit hours must be taken for any subsequent graduate degree. All previous hours completed for a different degree program may be counted as transfer credit. The Avila Psychology degree programs are offered in a traditional semester format, primarily in the evenings. The counseling psychology practicum and internship experiences may require day and weekend time commitments. The research concentrations in both degree programs may require lab experiences during daytime hours. The Master of Science degree in Psychology is a 36-credit degree program that provides students with a solid foundation of the diverse research, theory, and practices of psychology. The degree is designed for students interested in preparing for doctoral programs in psychology as well as for students interested in pursuing careers in non-clinical settings. The Master of Science degree in Psychology requires 36 hours of graduate coursework that students must complete within seven years, maintaining a cumulative grade point average of at least 3.0. Has maintained an overall grade point average of 3.0 or better with no grade below “C.” Only 6 hours of “C” grades are allowed in the Psychology program. The Department of Psychology determines for which courses a grade of “C” is allowed. Newly admitted Psychology students may be classified as “probationary” if any portion of their entrance requirements is less than required. The probationary student must maintain a 3.0 grade point average for the first 9 hours of graduate coursework. The student will be eligible for reevaluation at the end of that period. A student may change status from “Good Standing” to “Probation” if any of the following criteria are met: overall grade point average falls below 3.0, the student received a grade of “D” or lower during any semester, or the student has been placed on a remediation plan. Students on probation have 9 credit hours in which to return their grade point average to 3.0 or above to regain “Good Standing.” Failure to raise their grade point average may lead to dismissal from the program. PY 600 may not be used toward the 36 hour degree program requirement needed for graduation for the Master of Science degree in Psychology. The Department of Psychology offers an accelerated option to outstanding undergraduate Avila psychology students allowing a bachelor’s and master’s degree in Psychology to be earned in as few as 5 years. Through early admission to the master’s program, students admitted to the accelerated 4+1 program may earn up to 12 credit hours at the graduate level to be counted toward both the bachelor’s and master’s degrees. Interested students should submit an application for admission to the Department of Psychology. The admission process should be started early to ensure timely consideration. Students may consult with the department chair and the director of graduate psychology enrollment management prior to applying. Meeting minimum admission requirements does not guarantee admission into the accelerated option. All completed application files will be considered, though an interview may not be extended to every applicant. A denial decision to the accelerated option does not preclude future admission into the Psychology graduate degree program. Once admitted, a 3.0 GPA in all graduate and undergraduate coursework must be maintained, with no grades below a “B” at the graduate level. Failure to meet these minimum requirements will result in removal from the accelerated option. Scientific Reasoning and Research Skills: Students will demonstrate an understanding of how scientific methodologies are employed in psychology to describe, explain, predict, and influence behavior and mental processes. Psychological Knowledge: Students will demonstrate content knowledge in psychology and describe important concepts and theories and explain how these are interrelated. Application of Psychological Principles: Students will apply psychological concepts and theories. Communication: Students will demonstrate competence in writing and speaking in a professional, clear, well-organized, scholarly manner. The outcomes for the graduate psychology degree programs will be assessed through a combination of written and performance examinations and assignments, in addition to self, peer, instructor, and psychology faculty evaluations and reviews. These outcomes will be outlined in detail in individual course syllabi. Benchmarks for assessment are internally set by the department. Students may also obtain a copy of these outcomes in the Graduate Psychology Student Handbook.